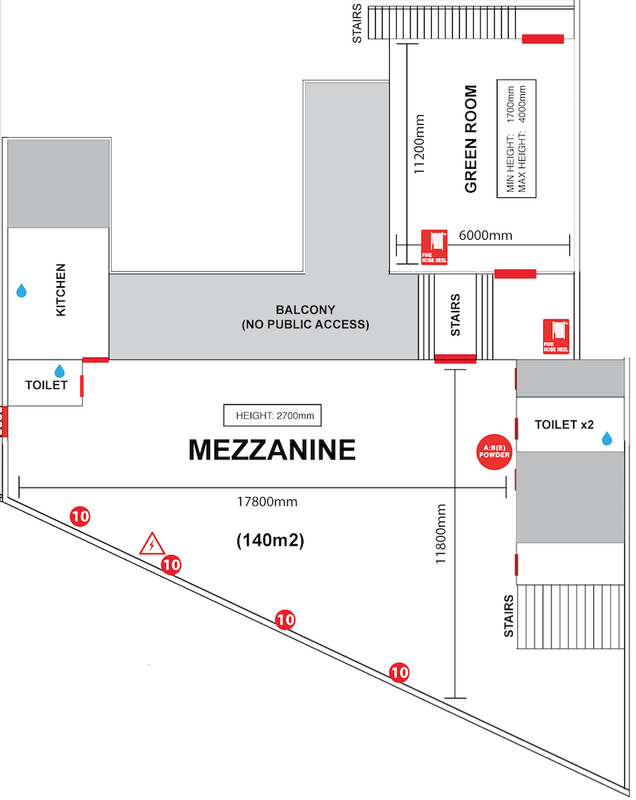 Our Mezzanine level offers a wide variety of uses. Situated in a secluded spot on the upper level in the North wing, New York loft style windows run along the entire eastern side of the room bathing the floor with natural light. It offers kitchen facilities plus 2 seperate bathrooms with 10amp power throughout. This space could be used as is for small scale events, workshops and health classes or quickly turned into a New York style loft for production and filming purposes. This is also available as a spacious green room for talent when coupled with one of our other studio spaces.